Celebrate Your Paper Anniversary With a Custom Gift from Your Comic Story! An anniversary is the perfect time to celebrate your love with someone; it’s a moment to mark the past year that you have been together and all the years prior to that. Furthermore, it marks your hopes for the years to come. If it’s your very first anniversary, it’s a chance to establish traditions and create stellar memories. You should make sure you do it right. How do you do an anniversary right? First, you need to have the right gift. Every anniversary has a traditional gift associated with it; in many cases, there is also a modern gift. The United States and the United Kingdom have similar traditions that overlap at times but they are sometimes different. Americans celebrate the first anniversary as the paper anniversary, whereas it is the second anniversary in the UK. Whichever the case, you should think long and hard about how you want to celebrate it. A custom poster or comic book is a great way to celebrate your first (or second) anniversary. 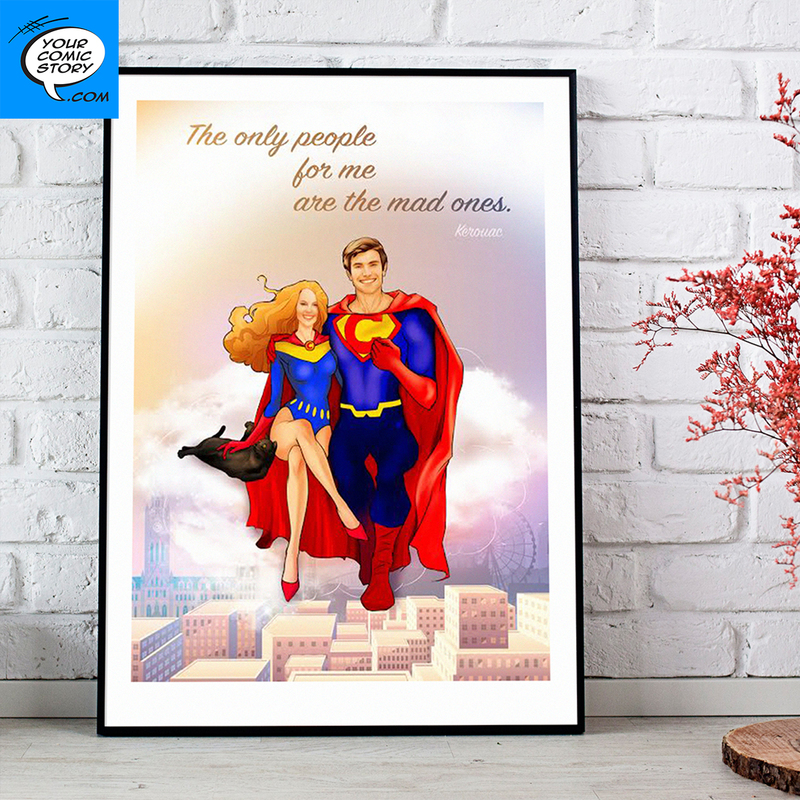 Custom posters and comic books are created by professional writers and artists who work with you to create a gift for that special someone in your life. A custom gift shows your loved one that you went above and beyond by creating something specifically for them. If you’re looking for a paper gift, they are a great choice. As stated earlier, the paper anniversary is a pivotal moment in your relationship. It marks the end of your first year together and signifies your hopes for the many years to come. In many ways, it is the beginning of a journey together;it’s just the first signpost along the way. You want to celebrate that first mile market with something that they will keep and cherish. Other anniversaries can be celebrated with vacations or something temporal; for the paper anniversary, you want something that special someone can keep forever. A custom comic book or custom poster is a great choice. 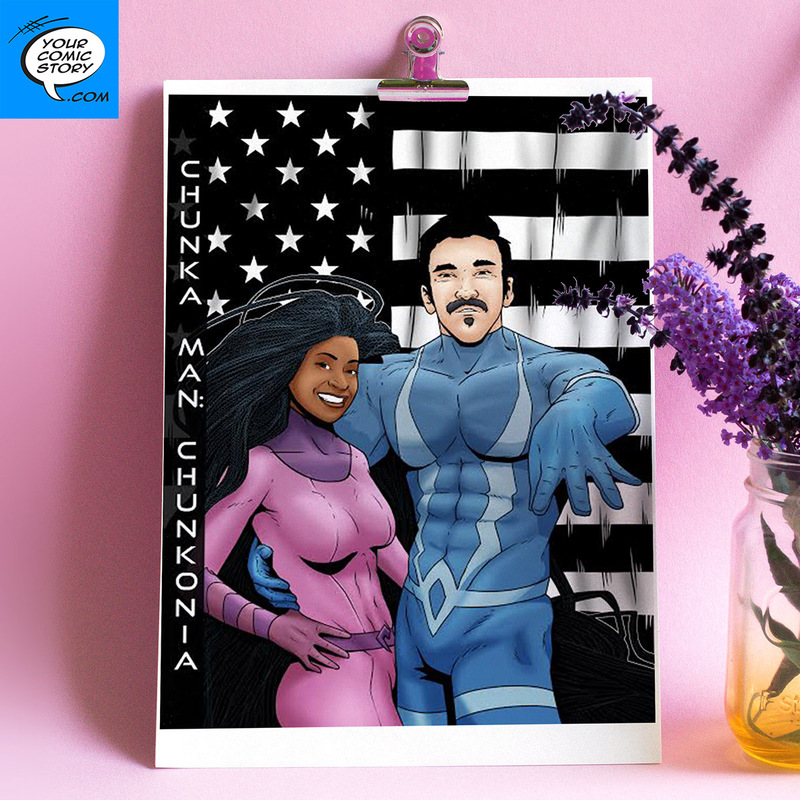 When you choose a custom poster or custom comic book for your paper anniversary, you can transform your loved one into the superhero that they are to you. For comic book and superhero fans, they can become their favorite characters. Even if they’re not comic book fans, you can transform them into a hero. A comic book or poster is one of many great paper anniversary gift ideas. If you’re looking for something for that special day, you should look to us. However, we can do more than just paper anniversary gifts. If you’re looking for a gift for any occasion, we have something for you. We can create marriage proposal ideas and wedding invitations for the couple that hasn’t reached its first anniversary. When you get to the paper anniversary, you can create a gift that matches your proposal and your wedding invites. We can make gifts for Mother’s Day, Father’s Day, and just about any special occasion. If you’re looking for something for someone special or if you just want to see yourself drawn up as a superhero, contact us. We would love to hear from you.